Arimasa Naitoh, Lenovo's Vice-President of Development is affectionately known as the father of the ThinkPad. He's also the inventor of the ThinkPad's ever-present red trackpoint nub – an input device that tends to polarise opinion - but one he rigorously defends. When quizzed about it, he's extremely defensive: "Everything I make will have it," he declares. 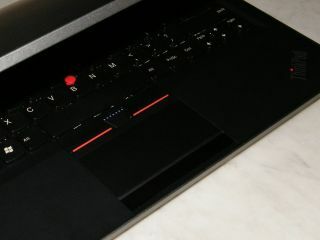 Key to the ThinkPad philosophy is the familiarity newer ThinkPads offer even for users of very old machines. "We do not want the end user to relearn how to use the PC. They just need to focus on themselves. [We want a] ThinkPad to be transparent and the least stressful to use," Naitoh explains. Naitoh joined IBM 31 years ago ("even before the PC was born... you can guess how old I am") and began building the team which, in 1987, was tasked with coming up with a portable PC. The result was the last 18 years of ThinkPad releases beginning in 1992. More recently he has joined the higher ranks at Chinese manufacturer Lenovo, who bought IBM's PC division in 2005. As head of notebook development, he heads up Lenovo's Yamato Development Labs. At a recent presentation he explained to TechRadar some of the design principles behind the latest flagship ThinkPad, the 14-inch touchscreened T400S, which is based on a completely new ThinkPad platform. Battery life and connectivity are ongoing problems for all laptop manufacturers. "How can we make people more effective?" asks Naitoh. "You [shouldn't] have to think about battery life. When you go to other places you need connectivity." Naitoh says there have been three generations of ThinkPad, from 1992-99, 200-04 and then on. He says that there was a stage when more powerful laptops were a secondary consideration. "I am doing [simple things], I don't need any more power." But now? "Absolute performance is required," he explains. "Cooling technologies are a big challenge for us... performance within size and weight."